Cowboys and Mobsters and Aliens, oh my! Did you read The Host and wish it had more? More cowboys, Russians, and man on man action? Although the book was crazy over the top, it turned out to be an enjoyable read. 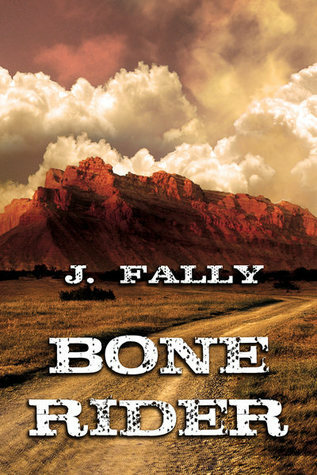 The Bone Rider is a story told through several different POV’s, like over 9 of them. Not only do you read the story from the main character, but the secondary characters get a say as well. The POV changes at the start of a new chapter, so it if you hate changing views, it isn’t that hard to follow. New Chapter = New Character view. The chapters aren’t very long either, so even if you don’t like a character, you’ll switch to a new one shortly. I will say, the jumping around made it really hard to hate any of the characters. You get a nice understanding on why they did the things they did. The story starts when System Six, a sentient symbiotic artificial weapons and armor system, who decides to abandon his current host and ends up crash landing in Texas. System Six needs a new host and that’s when we meet Riley, who just so happens to be a cowboy on the run from his Russian hit man boyfriend, Misha. Now, don’t expect anything creepy when System Six invades Riley. He’s more useful than a hindrance. System Six or McClane, as he begins to call himself after watching Die Hard, begins to form a close bond with Riley. A bond he hasn’t had with any of his previous hosts. So Misha, the dangerous mobster, is actually desperate to win back the love of his life. Riley is the only man who has ever meant anything to him. He loves him and he will do anything to get him back. Misha’s right and left hand men, Kolya and Andrej, make for excellent side characters. The bromance between Misha and Andrej is adorable. Riley and McLane are still sorting things out, when all three meet in El Paso. But wait, there’s more! General Nick Young, who has been after McClane this whole time, and his Special Forces are there too! And now it’s all-out war! The battle scene was by far my favorite. It was easy to follow, well written, and is not too gory. It had everything an avid Halo player could need: sharpshooters… helicopters… missile launchers… and mobster hit men. Like I said before, there’s a lot going on in this book. There’s plenty of characters, crazy situations, weird love triangles, but it was a lot of fun. So if you’re up for one crazy ride, I suggest buying this book. Hi there, ten-inch, wicked-looking knife. Ever wonder what the world would be like if aliens invaded? 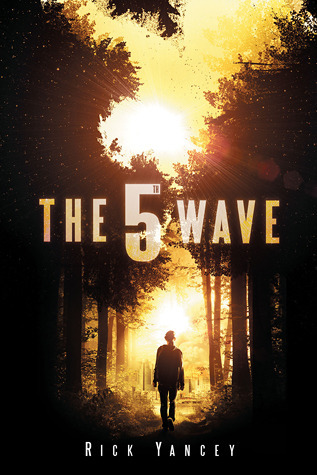 In Rick Yancey’s first book of his series, The 5th Wave, we find out that it is not all fun and games. It’s certainly no Lilo and Stitch, and definitely no Superman coming to help Earth. No, the alien invasion comes in waves. Cassie is one of the main characters of the book, battling/surviving through the waves like a teenage version of Sigourney Weaver in Alien. That’s Cassie for Cassiopeia, not Cassandra. She has a harder time than Sigourney because the aliens look just like human beings. And as if surviving wasn’t hard enough, because you can’t trust anyone, she is on a mission to save her younger brother who was taken by the aliens as part of the 5th wave. Equipped with his teddy bear, she tries to make good on a promise to return to him. But her journey goes a little off course when she is rescued by a mysterious, yet handsome Evan Walker. Is he friend or foe? Will she fall victim to Evan’s shy charm? Or will she remain infatuated by her high school crush, Ben Parish? Whatever happened to Ben Parish anyways? He’s probably dead like the rest of the human race. I could easily spoil the book for you with just a little more description of the plot. It’s pretty predictable. There are a few moments where you might find yourself biting your lip, but the knowledge of a second book should reassure you that at least Cassie lives till her sequel. The book has received many mixed reviews and it’s easy to see why. Some people have been raving about this series, comparing it to The Hunger Games or Divergent. It’s good, but not that good. Just go into it without expecting the “next big thing” to come out of it. The obvious turns of the plot make it hard to be surprised, you know where the book is going…you know what the 5th wave will be. Think of it as a dark version of The Host. The aliens in this book are not that polite. Except for Evan. Don’t worry, you would have figured that out. Now some people absolutely hate the book. I’m not sure why. I think they read something different from me, maybe the glorified alien addition. The story is mainly told by a sarcastic, teenage girl, who despite an alien invasion is still experiencing all the awkwardness of having crushes. My inner cynic related to and appreciated her, although a lot or people did not. This didn’t stop people from hating the minor love stories in the novel. She’s a teenage girl with a cute teenage boy, trapped in the woods for several weeks. If nothing happened between them, I would have been disappointed that our main protagonist was possibly going to die a cold, heartless wench. People also hated that the POV of the book changes often. I thought it was a nice way to keep the plot going without going stale, but a lot of people had problems figuring out who’s POV they were on; even though Yancey makes it super easy to figure out with sentences like: I am Ben Parish or I am the silencer (neither of which are real sentences in the book). My best advice if you decide to read this series is to go in with an open mind. I enjoyed the book and I’m looking forward to next, I have some unanswered questions and I can’t predict them. It’s my first truly awkward moment in the alien lair.